Vitamin D-binding protein (VDBP) is one of the key factors regulating vitamin D homeostasis [1, 2]. Adiponectin is secreted mainly from visceral adipose tissue and affects energy homeostasis . A possible interaction between vitamin D and adiponectin , especially in profound hypovitaminosis D, has been reported. 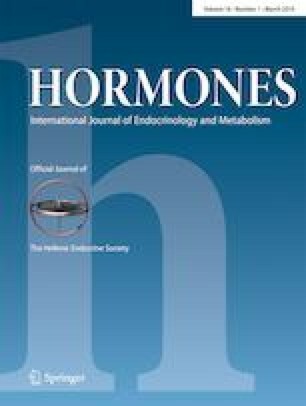 Adipokine profile at birth has been associated with fat mass in late childhood . We recently reported an independent positive association between VDBP and adiponectin in both mothers and neonates at birth . This independent association raised a hypothesis regarding a potential role of VDBP as a regulator of biological activity of adiponectin. However, as VDBP concentrations are known to increase in pregnancy , our observation could be limited only to pregnancy. The aim of this study was to validate the association between adiponectin and VDBP levels in apparently healthy men and women. Aristotle University Ethical committee approval obtained.